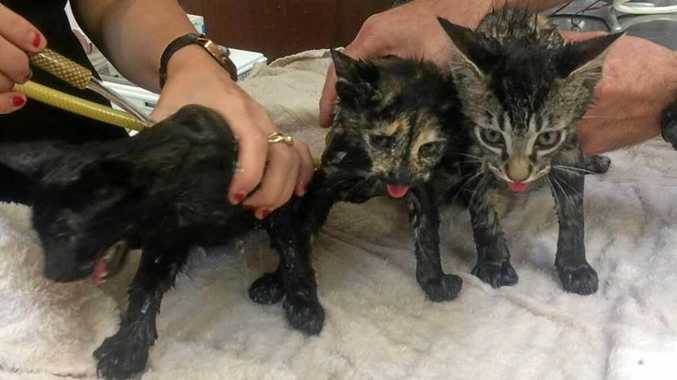 THREE kittens were left distressed, overheated and about 15 minutes from death in a closed leather bag just days out of Christmas. 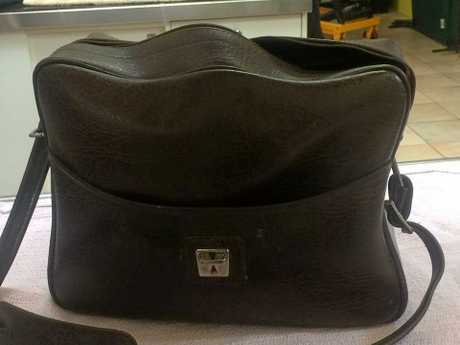 They were found by a shopper who was returning to his car on Thursday to put the groceries in the boot. He saw the bag hanging from his 4WD's tow ball, and opened it to find the panting 14-week-old kittens. They were rushed to the Lismore Vet Clinic. "They were distressed ... open-mouth breathing which was very abnormal behaviour for kittens," practice owner Nick Jones said. "We cooled them down and kept them overnight, and they seem to have responded very well. "If they were left any longer it could have been a very different outcome." He said it wasn't only the kittens who were distressed - it affected everyone involved. "The staff here were quite upset about it ... it's not a good way to start the Christmas period," Dr Jones said. "This was particularly heinous in that they were left to die in a bag at the back of a car. "It's very cruel and if the perpetrator was caught they'd likely face charges." The veterinary clinic notified the police and warned that "this has been taken very seriously as an act of animal cruelty". Now the kittens have recovered, they will be taken into the care of a local rescue group to find them loving homes. Dr Jones, who sees an increased number of abandoned pets after Christmas, reminded pet owners about other measures that could be taken if they no longer wanted their pets. "If you ever have trouble looking after animals there are certainly a lot of groups around that are able to take them," he said. He said more importantly, prevention was key. 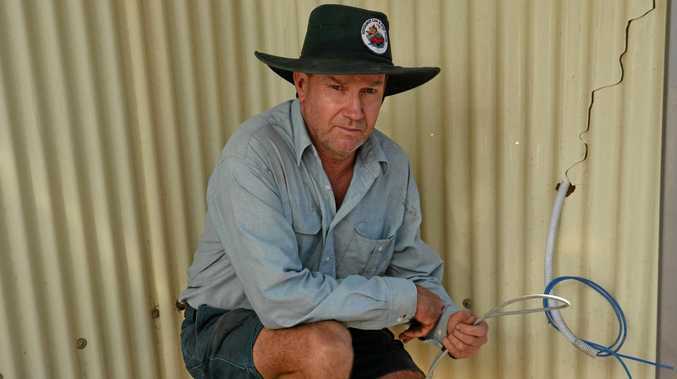 "People should have their animals desexed and avoid this predicament," Dr Jones explained. "Also pets are not just for Christmas, they're for life." Lismore Vet Clinic shared what happened on their Facebook page. At the time of publication almost 70 people had commented about the situation - showing their anger, frustration, sorrow or simply wishing to thank those involved.